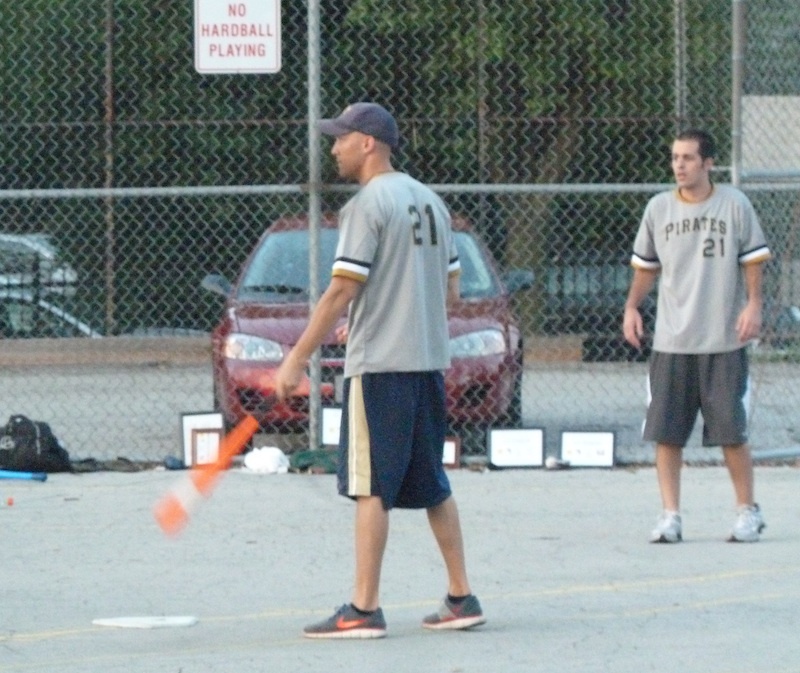 The first ever EWL Wiffle Series will start Tuesday, August 2nd at 6:30PM at the Wiffle Diamond in Shadyside. 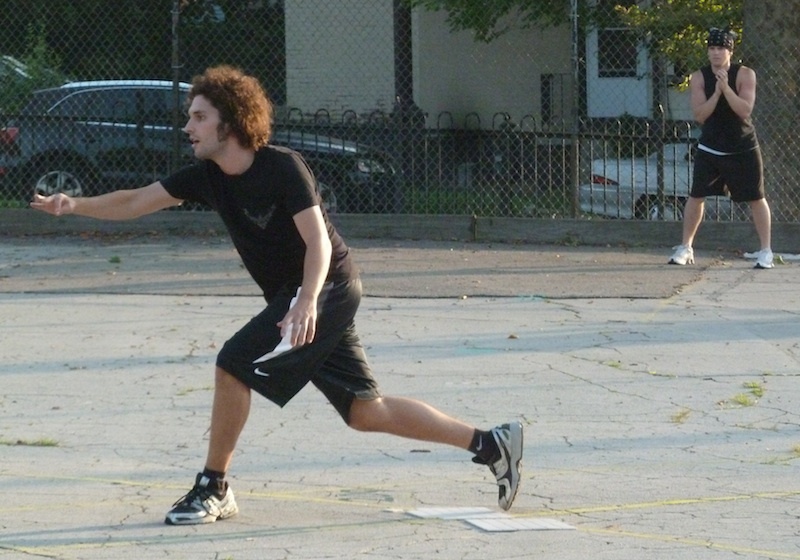 The #1 seed Caucasian Vaginas, fresh off a 3-0 sweep of Pumice on Slow!, will face off against the #2 seed Fish Sticks, who defeated 4 out of 5 Dentists in five games to advance to the championship series. The series will be a best-of-seven format with the Caucasians holding homefield advantage after finishing with the best record in the regular season and winning the pennant. Games 1, 2, and 3 are scheduled to be played August 2nd. 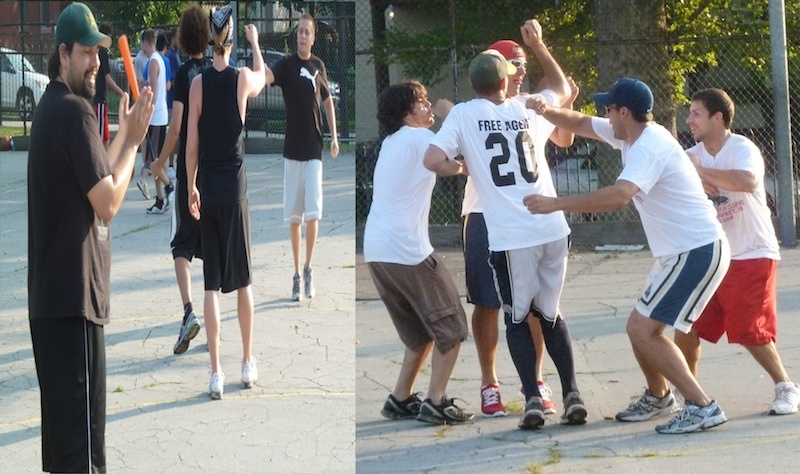 The Caucasians and the Sticks met six times during the regular season with the Vaginas going 4-2 for the season series. Four of the six matchups were decided by two runs or less with each team throwing one shutout. The Caucasians ended the season on a four game win-streak, and after sweeping their first round opponent have now won seven straight. This streak ties their longest of the season; the Caucasians opened the 2011 season 7-0 before taking their first loss. 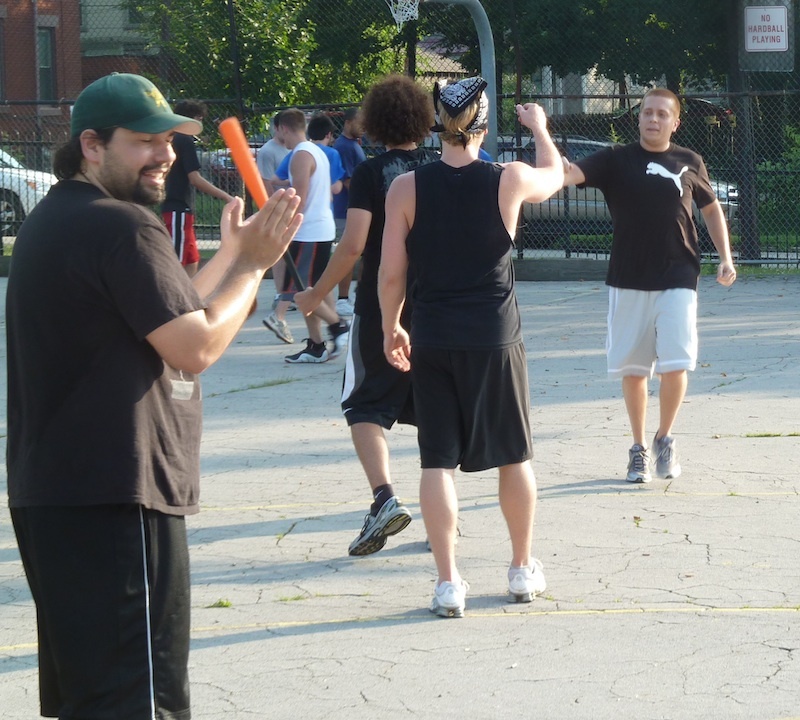 The Sticks finished the regular season on a three game win-streak and won six of their last eight, culminating in the 20th game when they clinched the #2 seed, a win that proved pivotal in their first round series against the Dentists. 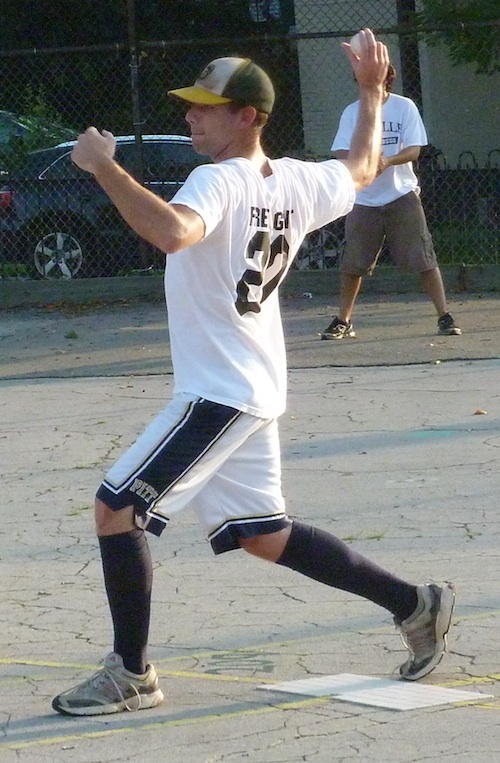 In game 1 (and games 3, 5, and 7), the Caucasians will march the 2011 Pitch King Guthrie out to the mound, fresh off the first perfect game in EWL history. Guthrie started only two games against the Sticks during the regular season, going 1-1 and taking his only loss of the season. In his win, he pitched a complete game giving up only 1 run on 2 hits, and in his loss he allowed 3 runs on 5 hits. He has yet to give up a run in the postseason in 12 innings pitched. The Caucasians have alternated their #2 starter throughout the season, but appear to have settled on Les as their off-game starter. He only faced the Fish Sticks once in the regular season, taking the loss after giving up 5 runs on 8 hits. He finished the regular season with 10 consecutive shutout innings, however, and won game 2 for the Caucasians in their sweep of Pumice! Frosty started one game against the Sticks in the regular season, pitching a complete game, giving up only 1 run on 5 hits in a win. Higgins also started one game against the Fish Sticks, pitching a complete game win while allowing only 1 run on 3 hits. And finally, Morrison also started one game against the Sticks, giving up 6 runs on 8 hits but collecting a winning decision. The Fish Sticks have employed a consistent rotation of Dinger and Joey for the entire regular season and postseason. Dinger will start game 1, and he went 0-2 in his only two starts against the Caucasians during the 2011 regular season. He gave up 7 runs on 10 hits in both of his starts for a combined total of 14 earned runs on 20 hits in 11 innings. He’s 1-2 in the postseason so far and has given up 10 earned runs in 18.5 innings pitched. His win came in game 1, when he shut down the Dentists in a complete game win. Joey will start the even-numbered games for the Fish Sticks in the Wiffle Series and will be called from the bullpen if necessary during the others. He started 4 games against the Caucasians during the regular season, going 2-2. In his two losses, he gave up a combined 6 earned runs on 10 hits in 10 innings. In his two wins, he gave up a combined 2 earned runs on 9 hits in 11 innings, including a complete game shutout. He is 1-0 in the postseason so far, earning his only win in the deciding game 5 of the Sticks’ first round series. 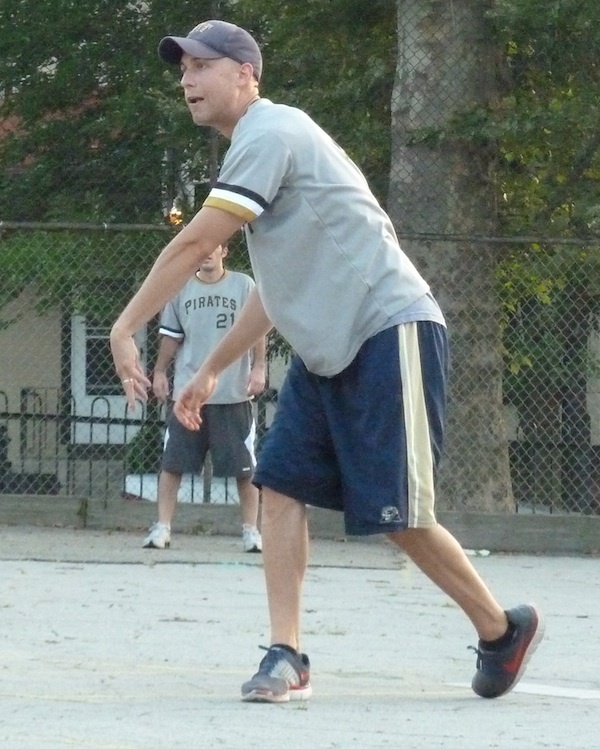 Blose made one of his 3 appearances of the 2011 season against the Caucasians, pitching a perfect sixth inning for one of his 3 saves on the year. He got the win in game 4 of the Sticks’ first round series, pitching 5 innings and giving up only 1 earned run. It was a fitting end to an incredible five game series that was pushed to the brink. 4 out of 5 Dentists and the Fish Sticks had gone to extra-innings for the second consecutive game, and each team was a run away from winning Game 5 and clinching a spot in the Wiffle Series against the Caucasians. The Fish Sticks, who two innings earlier were two outs away from ending their 2011 season, had come from behind to draw even with the Dentists in the bottom of the sixth. Both teams were scoreless in the seventh, and with darkness setting in, Vassallo led off the bottom of the eighth inning. The homefield advantage the Sticks had clinched only two weeks prior would come to fruition, as Vassallo crushed the first pitch he saw over the centerfield wall to end the game and the series, catapulting his team to the title and bringing the legendary series to a conclusion. The Dentists and Fish Sticks had gone blow-for-blow in the first four games of the series, with the Sticks winning games 1 and 4 and the Dentists winning games 2 and 3. There was talk to postpone Game 5, but it was decided that the game would be played immediately in order to beat the darkness. Sundown was fast approaching and the stage was set for an amazing finale to the ultra-competitive series. The Fish Sticks would send Dinger to the mound to start his third game of the series, despite having earned both of the Sticks losses in the series. Ron led off the game, having been responsible for the Dentists only run in Game 4. Dinger retired him, but the next batter, Marr, singled with one out. The Sticks stranded him though, as Dinger retired Braydn to end the first. The Dentists started Ron for the third consecutive game, with their three best fielders playing where they were most comfortable. Blose led off the game with a single, and moved to third when Dinger grounded out to center. But Joey couldn’t plate the run, as Ron got him to ground out to end the inning, stranding a runner at third. Dinger started to get in a rhythm in the top of the second, as he retired Spads and Ron in order to keep the game tied at 0-0. Ron also found himself in a groove, sending Vassallo and Blose down consecutively in the bottom half of the second. The Dentists couldn’t break the scoreless tie in the top of the third, as both Marr and Braydn grounded out, and Ron kept the train rolling in the bottom of the third, retiring Dinger and Joey in order. Dinger retired his fifth and sixth consecutive batters in the top of the fourth, getting both Spads and Ron to groundout. Vassallo singled to lead off the bottom of the fourth, the first baserunner for either team since the first inning. But Blose and Dinger flew out consecutively, unable to move the runner beyond first base, and the game remained tied. The Dentists would be the first to score in the top of the fifth, as they finally got through Dinger and the Fish Sticks defense. Dinger retired Marr for the first out of the inning, but the next two batters signaled trouble. Braydn launched a solo homer to right-center field, putting the Dentists up 1-0 and giving them the critical first score of the game. The next batter, Spads, who was 0-12 on the day coming in, hit a home run to center field, making back-to-back home runs and putting the Dentists up 2-0. The Sticks made a quick call to the pen to avoid further damage, bringing in Joey from right field. He retired Ron to end the fifth, but the damage had been done and the Dentists had put the Sticks in a hole. Ron also showed his first signs of weakness in the fifth inning. Joey led off the bottom of the fifth by flying out to left field, but Vassallo, who had singled in his last at-bat, followed with a one-out solo blast to deep left field, pulling the Fish Sticks within a run at 2-1. Blose was unable to keep the rally alive, as he grounded out for the second out of the inning, and through five innings the Dentists were up a run. The Dentists couldn’t add to their lead in the top of the sixth, as Marr and Braydn were retired in order. The Fish Sticks were down to their final at-bat, down a run, with the series and the season on the line. Dinger led off the inning, and he had come through in crucial situations early in the season. He took several pitches, having difficulty picking up the ball. But when he finally swung, he connected, hitting a laser just inches over the left field wall, tying the game in one of the most clutch and dramatic moments in league history. The Sticks had tied the game at 2-2 with no outs and were a run away from taking the game. Ron was unfazed, however, and retired Joey and Adam to end the sixth, pushing the game to extra-innings. Joey remained on the mound for the Sticks, and he kept the Dentists in check in the top of the seventh, retiring Spads and Ron in order. Ron pitched into the seventh inning as well, and Blose doubled to lead off the inning. The game-winning run was two bases away with no outs. But Ron clamped down yet again, retiring Dinger and Joey, stranding the winning run on second base, and giving the Dentists another chance. Marr led off the top of the eighth by flying out to the pitcher’s mound for the first out of the inning. The next batter, Braydn, singled with one out for his second hit of the game. Spads came to the plate and hit a fly ball to right field which Dinger had trouble seeing. Unable to spot the ball, it fell to the ground as Spads raced to first, Braydn around second, and Dinger grabbed the ball. But the umpires ruled the ball foul. Spads came back to the plate, and was unable to move the runner, grounding out to left field for the second out of the inning. At this time darkness had crept over the field and the ball was becoming increasingly difficult to see for hitters and fielders. An announcement was made that this would be the final half-inning before the game would be postponed. The Fish Sticks came to the plate with one chance to win the game that night. Vassallo had mentioned earlier that he would swing at the first pitch he could see. He swung at the first pitch Ron delivered, and when the ball came to rest it was on the other side of the fence and the game was over. 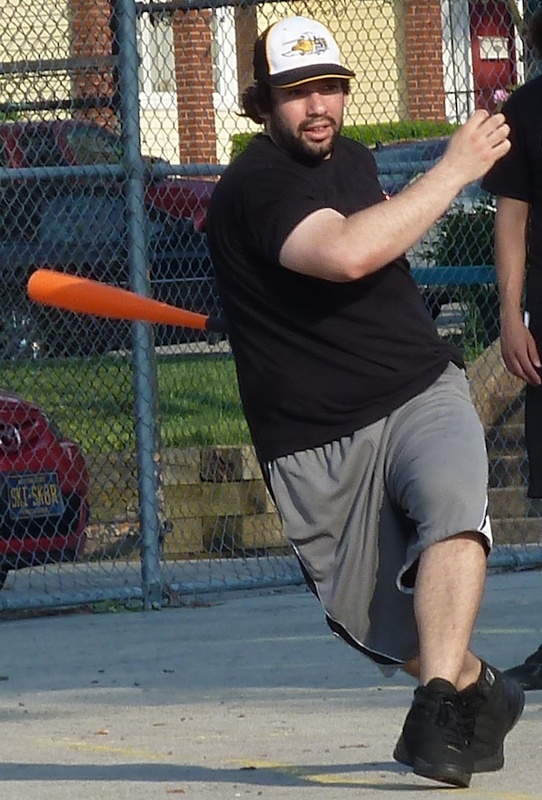 The Sticks mobbed Vassallo at the plate, as he had won Game 5 and clinched a spot in the Wiffle Series for the Fish Sticks. The Dentists were devastated, having poured their sweat into the 2011 season and this five game series in particular. Their season had set like the sun on the EWL diamond that night, one hit away from playing for a title. The greatest series the EWL may ever see had come to an end. Two games alone combined for 21 innings. The Fish Sticks outscored the Dentists 19-17. The Dentists scored 2 runs three different games; the Sticks scored 3 runs three different games. The fielding, pitching, and timely hitting was remarkable. Four of the five games were decided by a single run; the other game was decided by two runs. 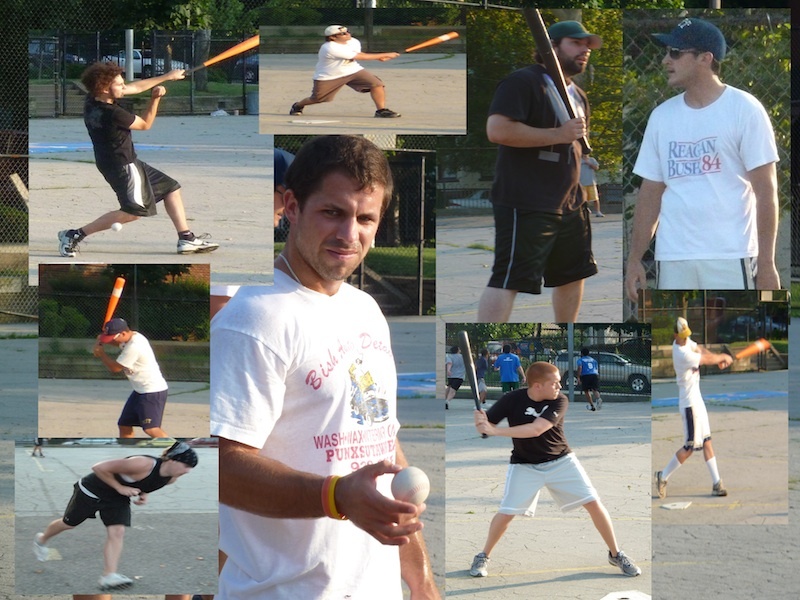 The Fish Sticks will now face the Caucasian Vaginas in a best-of-seven series in the Wiffle Series for the 2011 EWL Title. Two weeks after completing what is considered the greatest game in EWL history, the Fish Sticks and 4 out of 5 Dentists needed 13 innings to decide a winner in Game 4. The Sticks took a 3-2 lead in the top of the 13th inning and held on to win 3-2, tying the series at 2-2 and forcing a game 5. With the Dentists’ ace Chris out with an injury, Ron started on the mound for the second consecutive game, aware that he could only pitch two innings before reaching his limit. He was effective in game 3, earning a complete game victory and holding the Sticks to three runs. He picked up where he left off to start game 4, fanning the league’s best hitter, Blose for the first out of the game. He then retired Dinger for the second out, and the game was scoreless after the top of the first. Joey started on the mound for the Sticks. 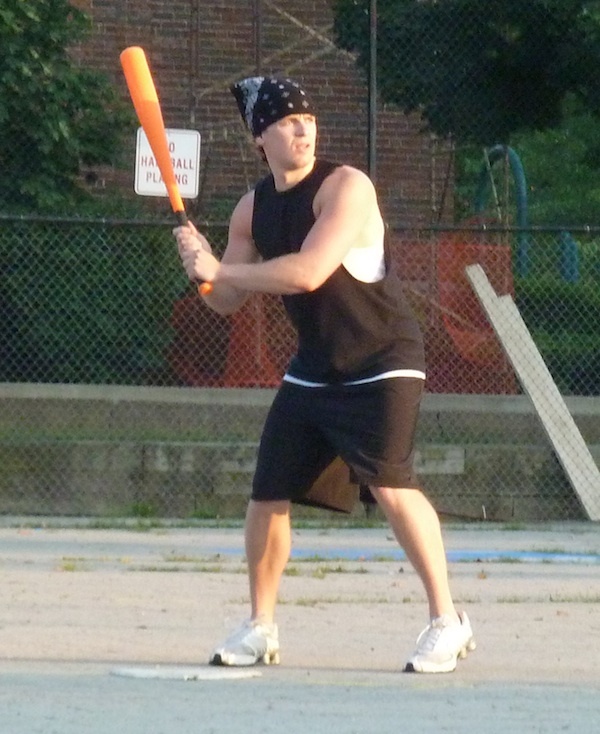 He was hit hard in game 2, as the Dentists started their improbable comeback in the game and series by hitting home runs off of him. He got off to a good start in game 4 though, as he retired Braydn and Marr in the bottom of the second. Ron retired Joey and Vassallo in order, and he had reached his pitching limit. He pitched two perfect innings to get the Dentists off to a good start. He helped his own cause in the bottom half of the second, as he led off the inning with a solo homer, his third of the week, which gave the Dentists the first score of the game, a 1-0 lead. Joey wasn’t rattled, though, as he retired Spads and Braydn in order to keep the deficit at one run. With both of their regular pitchers unavailable, the Dentists would have to turn to a player who had never pitched before to close out the series and send them to the championship. They send Spads to the mound, a southpaw, and the Fish Sticks struggled to hit him. He retired Blose and Dinger in the top of the third, and the Dentists held their 1-0 lead. After giving up a homer in the bottom of the second, Joey got into gear in the bottom of the third and the Dentists were unable to shake him until he reached his inning limit in the eight inning. He retired Marr and Ron in order for a perfect third inning. Spads retired Joey for the first out of the top of the fourth, and after going three and a half innings perfect, the Dentists gave up their first hit of the game when Vassallo singled with one out. But Spads stranded him at first, retiring Blose for the second out of the inning. Joey send Spads and Braydn down in the bottom of the fourth, keeping the score at 1-0. Spads brought the Dentists one inning closer to ending the series in the top of the fifth, when he retired Dinger and Joey consecutively. The Dentists couldn’t add insurance runs in the bottom of the fifth, as Joey retired Marr and Ron in order. One inning away from advancing to the championship game, Spads needed two outs to end the game. But Vassallo had other plans. The Fish Sticks had their backs against the wall, and with their season on the line, Vassallo led off the top of the sixth with a solo homer, tying the game at 1-1. The Sticks couldn’t take a lead though, as Spads retired Blose and Dinger, maintaining the 1-1 tie. The Dentists came to the plate in the bottom of the sixth needing a run to end the game and the series. This would be the first of eight straight innings where they had a chance to win the game with a run. Joey got both batters, Spads and Braydn, to fly out to the pitchers mound, sending the game to extra innings. Spads remaining on the mound in the top of the seventh. He retired Joey for the first out of the inning, and Vassallo followed with a single, his third hit of the game, as he had all three of the Sticks hits. But Spads stranded him at first, getting Blose to fly out to center for the second out of the inning. Joey continued to shut down the Dentists in the bottom of the seventh, retiring Marr and Ron in order. The Sticks couldn’t score in the top of the eight, as Spads retired Dinger and Joey consecutively. In his final inning of availability, Joey sent down Spads and Braydn for a scoreless eight, extending the game another inning. Vassallo was retired for the first out of the bottom of the ninth, but the Sticks finally broke the tie with one out. Blose came to the plate and hit a solo homer, his first hit of the game, to put the Fish Sticks up 2-1. Spads retired Dinger for the second out of the inning, and the Sticks were now two outs away from winning Game 4. With Joey’s innings exhausted, the Sticks opted to save Dinger, who had two innings of availability left, and call Blose from the bullpen for the save opportunity. The decision didn’t work out as planned though, as the first batter of the inning, Marr, crushed a solo homer to left-center field, tying the game at 2-2, saving the Dentists. The back and forth game would continue. Blose avoided the blown save and the loss, however, as he settled down, retiring Ron and Spads, sending the game to the tenth inning. The tenth inning would be Spads final inning of eligibility. He retired Joey for the first out of the tenth, but Vassallo followed with a single, his fourth hit of the game. But the Sticks couldn’t take another lead, as Spads retired Blose for the second out of the inning. Blose remained on the mound in the bottom of the tenth. Braydn grounded out to center for the first out of the inning, and the next batter, Marr, crushed a ball into the tree in left. The tree kept the ball in the park, but the Sticks were unable to field it, and Marr had his second consecutive hit off Blose. Ron couldn’t make the Sticks pay though, as he was retired for the second out of the inning, stranding Marr at first. With Ron and Spads unable to pitch, the Dentists had to utilize their third pitcher of the game. They called Marr from the bullpen to make his first appearance of the season on the mound. He pitched well immediately, retiring Dinger and Joey in order for a scoreless eleventh. Blose found his groove in the bottom of the eleventh, pitching his first perfect inning by retiring Spads and Braydn in order. Vassallo led off the top of the twelfth inning with a single, his fifth hit of the game. But yet again the Sticks were unable to make the Dentists pay, as Marr retired Blose and Dinger to strand Vassallo at first. Blose continued to send the Dentists down in the bottom of the twelfth. He retired Marr and Ron in order, and the marathon game would continue into the thirteen inning, making it the longest game in EWL history. With the score tied at 2-2, and with no runs having been scored for four innings, the Sticks finally put a dent in the Dentists armor. Joey came into this at-bat hitless in his previous 11 at-bats on the day. He finally connected, hitting a solo homer off the top rail of the fence, putting the Fish Sticks up 3-2. Marr held the deficit at one run, retiring Vassallo and Blose. The Dentists had their backs against the wall for a second time, down 3-2 and needing a run to force a fourteenth inning or two runs to win the game. But Blose clamped down, pitching his third consecutive perfect inning, retiring Spads and Braydn by groundouts, ending the longest game in league history. The Fish Sticks tied the game in the top of the sixth, went ahead in the top of the ninth only to allow the Dentists to tie the game again, only to take the lead again in the thirteenth inning and hang on to win. The 3-2 victory forced a pivotal game 5 to be played to decide which of the two teams would advance to face the Caucasians in the championship Wiffle Series. – Vassallo led the Fish Sticks in victory, going 5 for 8, running out 4 singles and hitting the game-tying home run in the top of the sixth. He also made countless crucial plays in the field. Guthrie became the first player in EWL history to throw a perfect game, capping a sweep of Pumice on Slow! A week after throwing a 1-hit shutout in Game 1 of their series against Pumice on Slow!, Guthrie threw the first perfect game in the history of the EWL in Game 3 in the most dominant single-game pitching performance the league has ever seen. The win clinched a 3-0 sweep of Pumice! by the Caucasians, and sent them to the league’s first Wiffle Series. Pumice! needed a win to continue their 2011 season, and their best hope was their ace Gaurav, who they sent to the mound to start Game 3. It didn’t even take one batter for Pumice! to fall into the trap that had tanked games for them time and time again during the regular season. Morrison, the game’s first batter, hit a catchable ball that could have resulted in the first out of the top of the first. Instead, Morrison was safe at first, and a series of fielding and throwing errors resulted in Morrison rounding the bases for a leadoff inside-the-park home run, immediately putting Pumice on Slow! in a 1-0 hole. The next batter, Guthrie, blasted a home run to deep left field, and the Caucasians had a 2-0 lead before the first out of the game had been recorded. Frosty followed with a single, and it looked as if the Caucasians would run away with the game and the series. But Gaurav settled down, retiring Higgins and Morrison, stranding Frosty at second base, and keeping the game within reach. Guthrie continued to bewilder Pumice! batters, retiring Luke and Gaurav in order in the bottom of the first. Gaurav had a more routine inning in the top of the second, as he retired Guthrie for the first out of the inning. Frosty followed with his second single of the game, but Gaurav stranded him at first, getting Higgins to ground out to left for the second out of the inning. With the score 2-0, Guthrie retired John and Holly consecutively in the bottom of the second. The Caucasians added to their lead in the top of the third when Morrison led off the inning with his second homer of the game, putting the Vaginas ahead 3-0. Gaurav then retired Guthrie and Les in order to keep the deficit at three runs. Pumice! couldn’t answer in the bottom of the third, as Luke and Gaurav were sent down in order. Gaurav got back on track in the top of the fourth, retiring Higgins and Morrison, both by groundouts to left field. Guthrie continued to dominate in the bottom of the fourth, as he sent down Brad and Holly to keep the score at 3-0. Guthrie singled to lead off the top of the fifth, but Gaurav retired Les for the first out of the inning when he flew out to left field. Frosty hit a one-out single, which moved Guthrie to third, putting runners on the corners with one out for Morrison. Morrison could have effectively ended the game with a big hit, but Gaurav got him to groundout to centerfield, stranding both runners and keeping hope alive for Pumice! Pumice! couldn’t figure out Guthrie, however, as he continued to mow down hitters, retiring Luke and Gaurav in order to end the fifth. Up 3-0 and down to their final at-bat, the Caucasians added insurance runs in the top of the sixth. Guthrie flew out to left for the first out of the inning, but Les and Frosty followed with back-to-back solo homers, giving the Caucasians a 5-0 lead. Gaurav retired Higgins for the second out of the inning, and Pumice! would need 5 runs in the bottom half of the sixth to keep their season alive. Heading into the bottom of the sixth, word has spread on the sidelines that Guthrie had a chance to throw the league’s first ever perfect game. At this point he had already gone the deepest into a game any pitcher had without giving up a hit. Brad grounded out to left for the first out of the inning, and Guthrie was one out away from perfection. 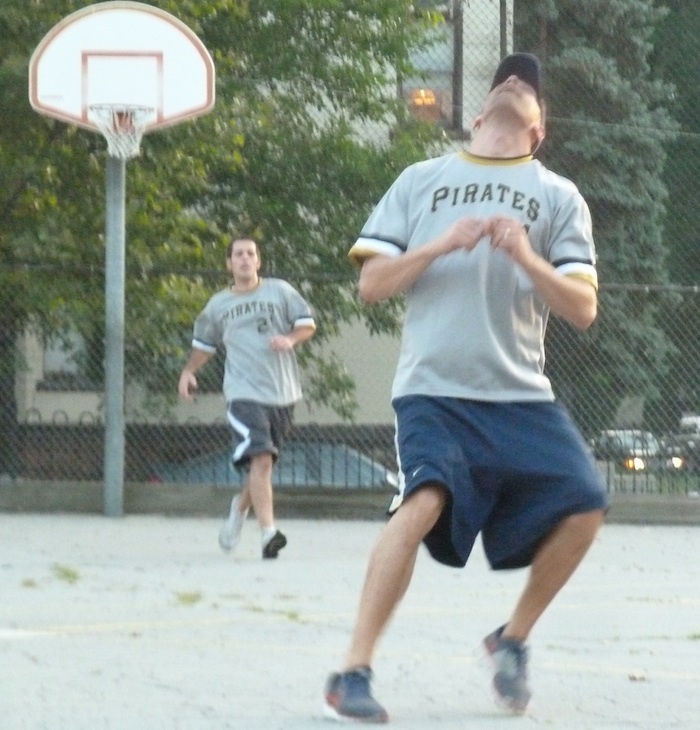 The final batter was John, who took a series of pitches and fouled a few off. After several pitches, he finally hit a liner to left. Les had some trouble handling the ball at first, but eventually snagged it just in time to retire John. Guthrie had ended the series, sweeping Pumice on Slow! with a perfect game, retiring all 12 batters in order. He dominated Pumice! throughout the course of the game, frustrating them with his ClawBall as they repeatedly couldn’t make solid contact. The Caucasians had won 5-0, and advanced to the championship series, as they awaited the finale of the other series to see who they would play. – Pumice! had three chances to break up the no-hitter, the closest call coming in the top of the fifth when Gaurav crushed a pitch to deep left, but it hit the tree and Morrison caught it for an out. – Guthrie has now given up only 1 hit and no earned runs in 12 innings in the 2011 playoffs. – Morrison went 2 for 5 with 2 HR and 2 RBI and Frosty went 4 for 4 with 3 singles, 1 HR, and 1 RBi to lead the Caucasians offensively. – Pumice! ended their season in disappointing fashion, but they played hard until the final out and were great representatives of the EWL. Ron went 2 for 3 with 2 home runs and 3 RBI in addition to giving up only 3 earned runs on 3 hits in a complete game win for 4 out of 5 Dentists, giving them a 2-1 lead in their best-of-five series against the Fish Sticks. 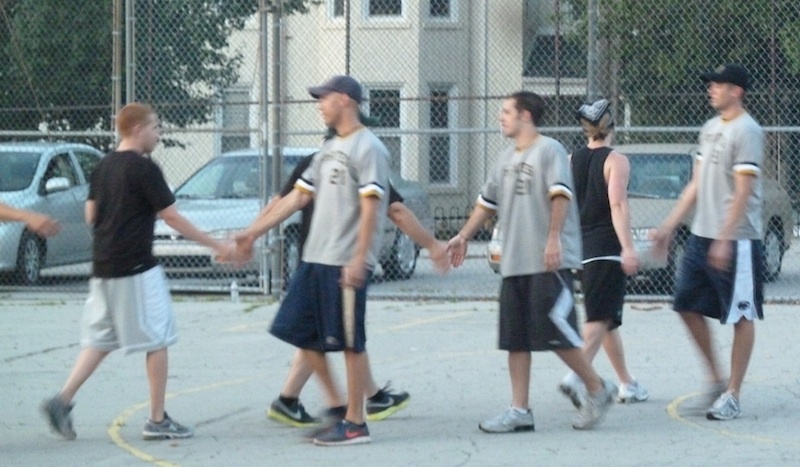 After their dramatic comeback victory in game 2, the Dentists were dealt a major blow on gameday coming into game 3. Chris, their staff ace and Pitch King candidate, was ruled out for the week with a herniated disc, leaving Ron as their only regular starter available to pitch. He started game 3, and took command of the game on the mound after early troubles. He retired Blose in the top of the first for the first out, but the next batter, Dinger, hit a solo laser to left field, putting the Sticks up 1-0 early. Ron retired Joey for the second out of the inning. Dinger went to the mound for the Fish Sticks, and he also found himself in trouble after retiring Braydn for the first out of the bottom of the first. Marr singled when Blose misplayed a ball in centerfield, and the next batter, Ron, crushed a two-run homer to left-center, putting the Dentists on top 2-1. Dinger then retired Spads for the second out of the inning. Ron started to get in a groove on the mound in the top of the second, retiring Vassallo and Blose in order. The Dentists added to their lead in the bottom of the second, as Braydn led off with a home run to deep right field, making the score 3-1. Dinger retired Marr and Ron to end the second, but the Dentists lead had doubled. Ron continued to remain in control in the top of the third, as Dinger and Joey were retired consecutively be groundout. Dinger had his first scoreless inning in the bottom of the third, as he retired Spads and Braydn to maintain the two-run deficit. Ron retired Vassallo to start the top of the fourth, his sixth consecutive retired batter. But the next batter, Blose, had his first hit of Game 3, a solo homer, cutting the score to 3-2. Dinger, who had homered earlier, stepped to the plate next and crushed his second bomb of the game, making back-to-back homers and tying the game a 3-3. The Fish Sticks had drawn even, but couldn’t take the lead, as Ron retired Joey for the second out to end the inning. The Dentists took no time at all to regain the lead. Dinger retired Marr for the inning’s first out, but Ron matched Dinger with his second homer of the game, putting the Dentists back on top 4-3. Dinger retired Spads for the second out of the inning, and the Dentists had a one run lead through four innings. Ron wouldn’t let the Sticks rally in the top of the fifth, as he retired Vassallo and Blose in order for a perfect inning. Dinger held the Dentists in check in the bottom of the fifth, retiring Braydn and Marr, sending the game to the sixth inning. The Sticks came to the plate in the top of the sixth inning down a run, needing to plate one to extend the game and avoid falling behind in the series for the first time. But Ron buckled down, getting Dinger and Joey to fly out, ending the game, and securing a 4-3 win for the Dentists. The After losing Game 1, the Dentists had rallied back to take Games 2 and 3 and a 2-1 lead in the series. – Dinger led the Sticks at the plate and on the mound. He went 2 for 4 with 2 home runs and 2 RBI, and despite taking the loss pitching a complete game, giving up 4 ER on only 4 hits. – Ron led the way for the Dentists, picking up the complete game victory by giving up only 3 ER on 3 hits. He also went 2 for 3 at the plate with 2 HR and 3 RBI. 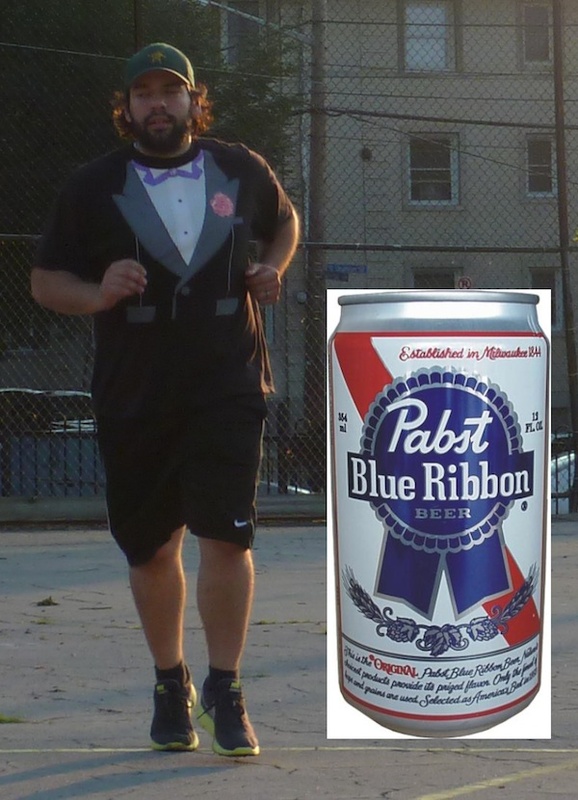 Only one week after being named the Week 10 PBR Wiffler of the Week, Blose has again been named Pabst Blue Ribbon Wiffler of the Week, this time for the first week of the first round of the EWL playoffs. He is now the only player in league history to accept the honor three times, and the only player to win the award in consecutive weeks. In the past 8 days, Blose has been named Wiffler of the Week twice, a Field Master, an All-EWL Team member, and the EWL Wiffler of the Year. Blose started the playoffs by picking up where he left off in the regular season, taking games over at the plate. 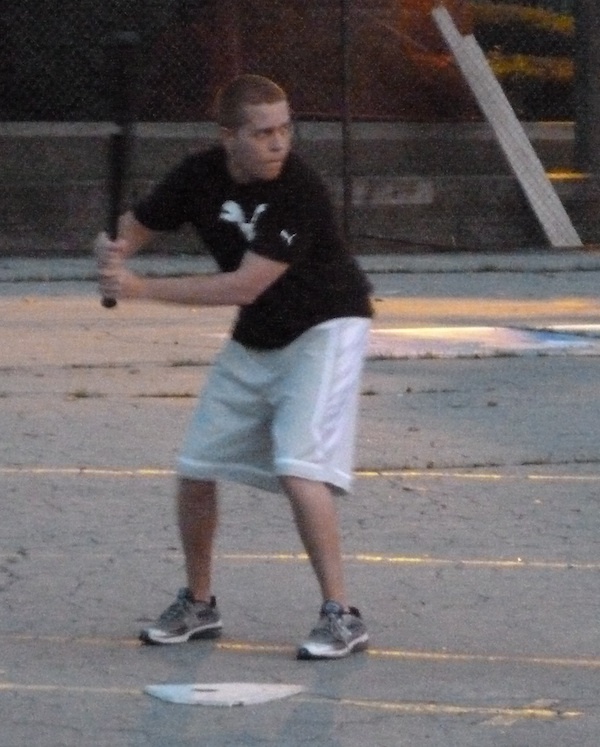 He led the Fish Sticks to a Game 1 win over the Dentists by going 3-5 with 2 home runs. 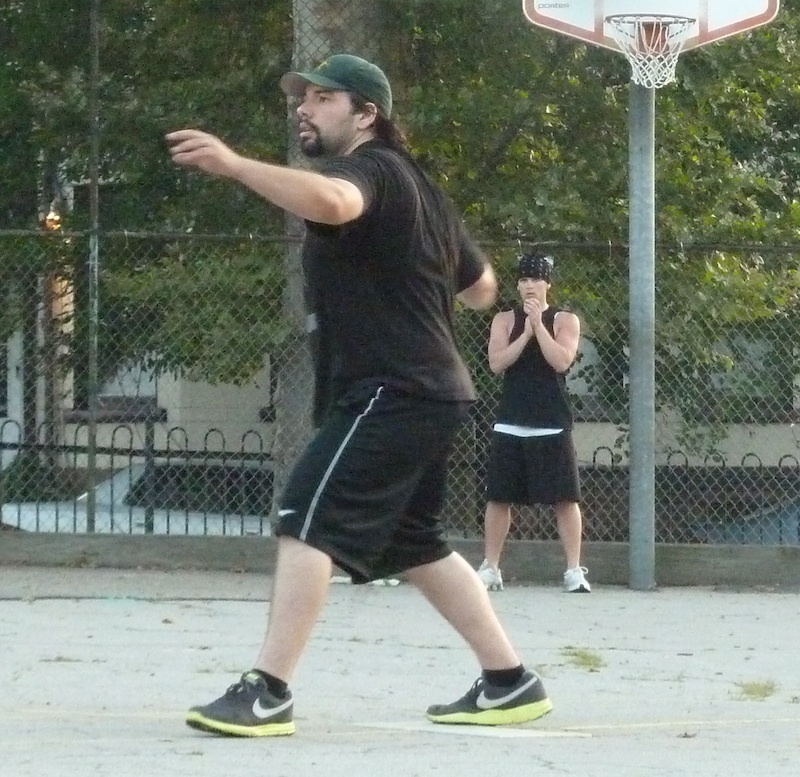 The Fish Sticks lost a heartbreaker in game 2, but Blose continued to excel. He was 3-5 for a second time, again with 2 home runs. Like the regular season, he led almost every offensive category after the first week of the playoffs. For the week, he went 6 for 10 with 4 home runs, 4 RBI, and 8 put-outs. He also made an incredible catch in deep centerfield, scaling the fence to record an out. No one made more of an impact on the 2011 EWL Regular Season than Blose of the Fish Sticks, and he has capped his dominant season by winning the EWL Wiffler of the Year award for 2011. Earlier this week he was named a Field Master and a member of the All-EWL Team, and now he can add the EWL’s most prestigious award to his resume. 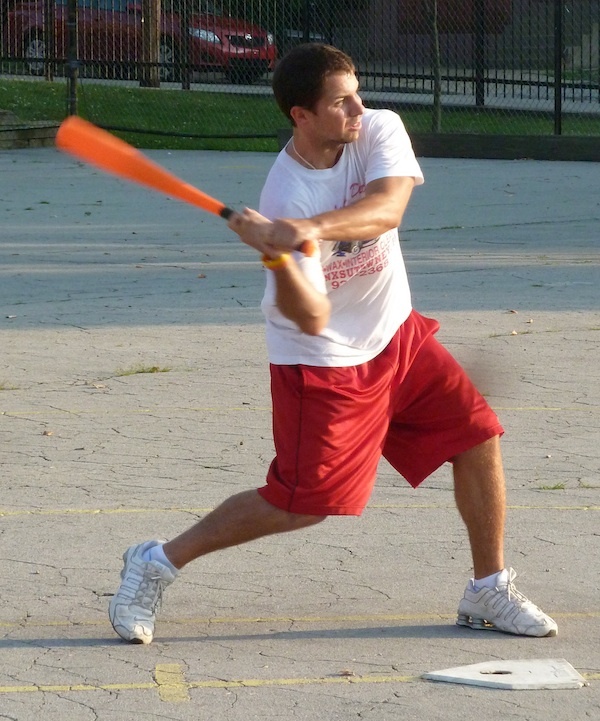 Blose ran away with Wiffler of the Year voting, as he was the only player in the league to receive more than 1 first-place vote. His combination of 13 first and second place votes was five more than any other player. No player was close to him in total league votes, and the gap grew even further after the commissioner vote. He was in a tier of his own in terms of league-wide respect from voters. 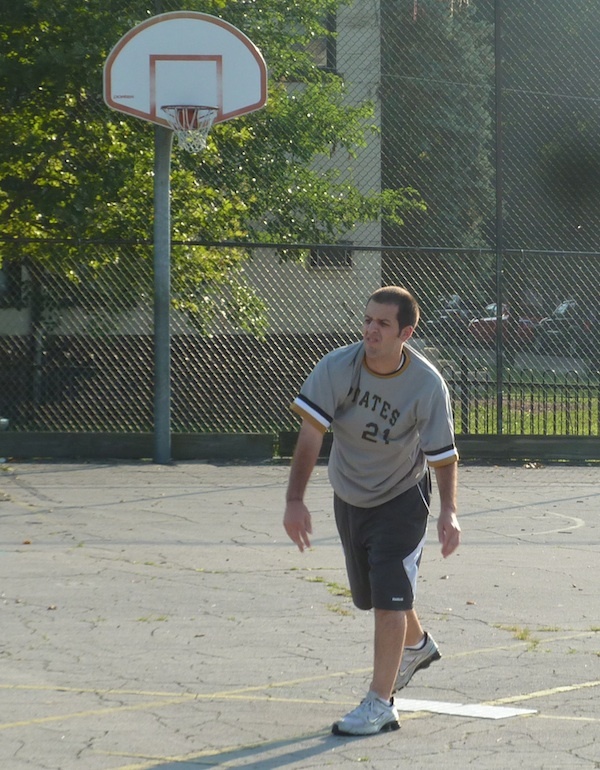 Blose led the league in 9 offensive categories, an unbelievable feat. He set single-season EWL records for batting average, slg %, runs, hits triples, home runs, RBI, and total bases. He holds three single-game records, two of which he accomplished on two separate occasions, and he is the only player in league history to hit for the cycle. He was one of 5 players to play in all 20 games of the regular season, and hit safely in 19 of the 20 games. He had three different games with 5+ hits and four multi-HR games, including two games with 4 home runs. Defensively, he set a single-season record with 96 put-outs, and was one of the best fielders in the game. He was the only player to record a save during the entire 2011 season, and he netted 3 of them. He was the most feared batter in the league, capable of going deep on any given pitch. He was a vacuum in centerfield for the Fish Sticks, gobbling up fly balls and ground balls and making difficult catches look routine. He was clutch, and the Fish Sticks often rode his back to wins. The 2011 EWL season will be remembered for Blose’s incredible performances, and his season will be the measuring bar for greatness for years to come. Morrison of the Caucasian Vaginas finished second to Blose in league voting and remained in second following the commissioner vote. His 7 second-place votes were by far the most, as no other player totaled more than 2. His 11 total votes were third most among all eligible players. For most of the regular season he went neck-and-neck with Blose in most statistical categories, holding leads in some heading into the final two weeks of the season. Blose surpassed him in all categories, but Morrison’s season was nearly as dominant. There was no doubt that he and Blose were the two biggest stars in the EWL this season. 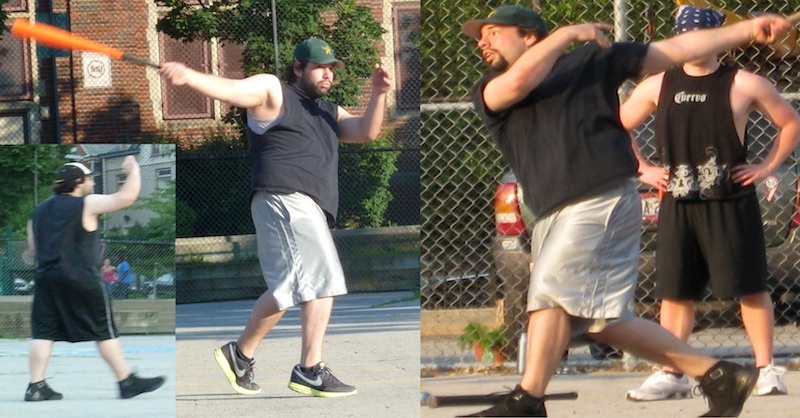 Joey of the Fish Sticks finished third in voting, and his 14 league total votes were the most received by any player. His 5 third-place votes were a league high, and his total of 11 third, fourth, and fifth-place votes was by far the most in the league. He finished slightly behind Morrison in league voting, and the gap grew after commissioner voting. Morrison and Joey were in a second tier of vote-getters behind Blose, followed by a sizeable gap for fourth-place. Guthrie finished fourth in league voting and remained in fourth after commissioner voting. He was one of three players (Morrison and Joey) to receive at least one vote for every place. There was a large gap between Guthrie at fourth and the rest of the eligible players. Ron was the only player to not make the All-EWL team to receive a first-place Wiffler of the Year vote. Frosty and Les were the only players to not make the squad to receive a second-place vote. Dinger received a league-high 4 fifth-place votes and was the only player not to make the All-EWL team to receive a vote from the commissioner. Commissioner Note: Similar to Pitch King voting, one voter voted only for first-place, so there are only 14 votes for second through fifth place. Also similar to Pitch King, some of the voting here was very hard to explain. I don’t understand how Blose only got 13 votes, meaning two people left him off their ballots completely. Similarly, Morrison received only 11 votes; 4 people thought he wasn’t one of the top 5 players in the league. I have no idea how someone could have played 12+ games and voted in this way. Regardless, I think the Wiffler of the Year, All-EWL Team, and all awards were voted fairly, the right people were chosen, and the winners are deserving.